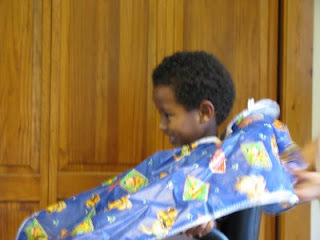 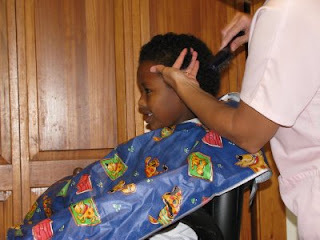 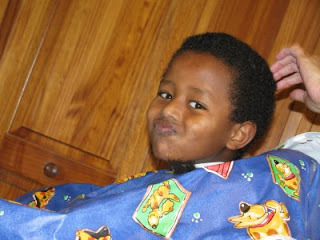 For Such As These: First Haircut in America! 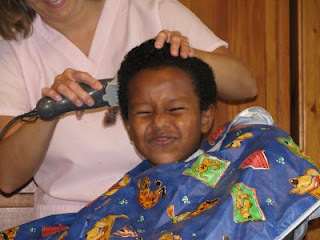 Yesterday we took Abenezer to get his haircut....He enjoyed it and of course liked being the center of attention...He kept making funny faces! 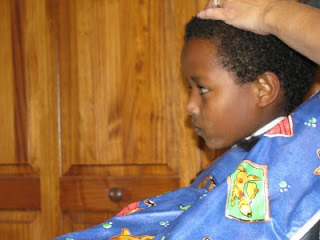 I was amazed at how much hair he actually had on his head!